Put on a happy face for the Joker teaser trailer!! Live action cast revealed for Netflix’s Cowboy Bebop series…and it’s impressive!! Mortal Kombat 11 goes green with Cetrion reveal trailer!! 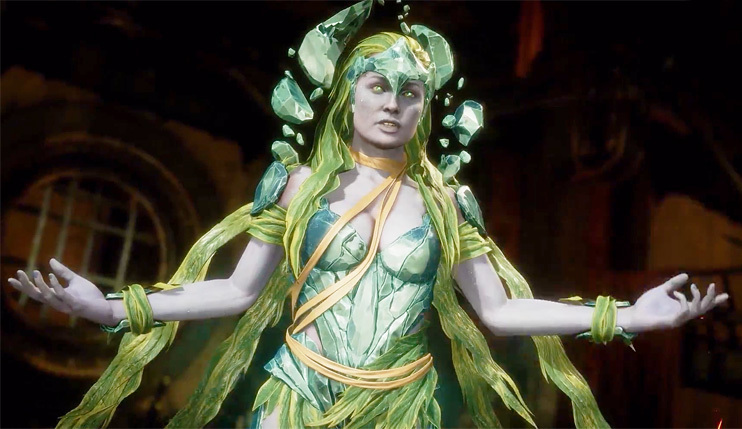 Mother Nature unleashes her fury in the latest trailer for Mortal Kombat 11! Watch Cetrion crush her opponents with Earth, burn them alive with Fire, shred them to pieces with Wind and drown them in Water with all the rage in her Heart! Mortal Kombat 11 launches April 23 on PlayStation 4, Xbox One and Windows PC.